Today comes a brand new application that allows you to easily and safely install jailbroken apps such as NiToTV and XMBC to your jailbroken Apple TV. 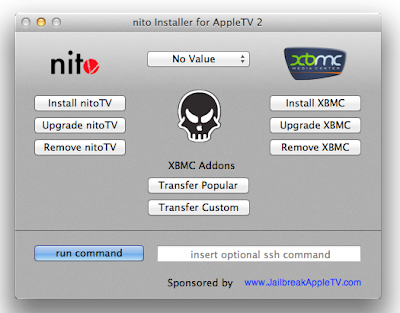 Usually to install apps like these you would have to SSH and or even command everything out but not anymore. With the a simple few clicks it ahould easily set it up for you. Check out the download link below.